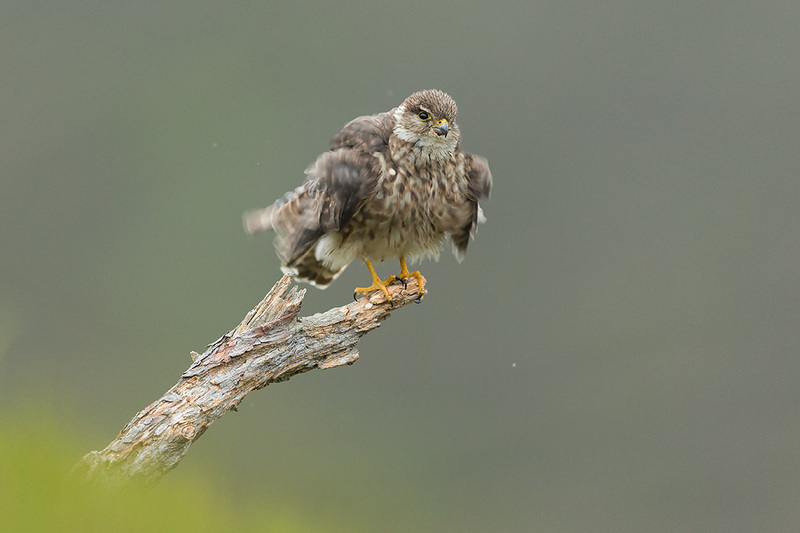 I first photographed merlin, Britain’s smallest bird of prey, in the Peak District about twenty years ago but of course that was all on film and so I have been putting feelers out in the last few years to try and find a site to have another go at them. 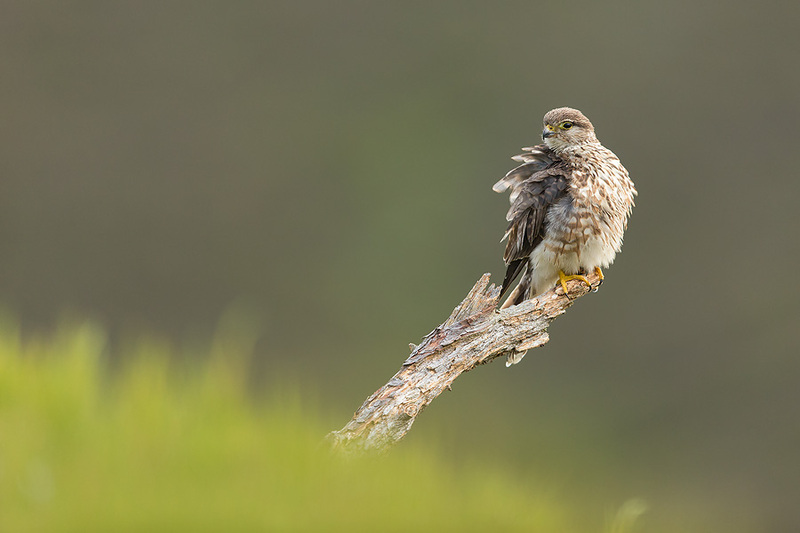 They are fairly widespread on the heather moorland around the Cairngorms National Park, but go largely unnoticed mainly due to their small size – they’re no bigger than a mistle thrush – and preference for hunting low over the moor. They sometimes use old crow’s nests in trees but more often nest on the ground amongst long heather and this offers the best chance of trying to photograph them. 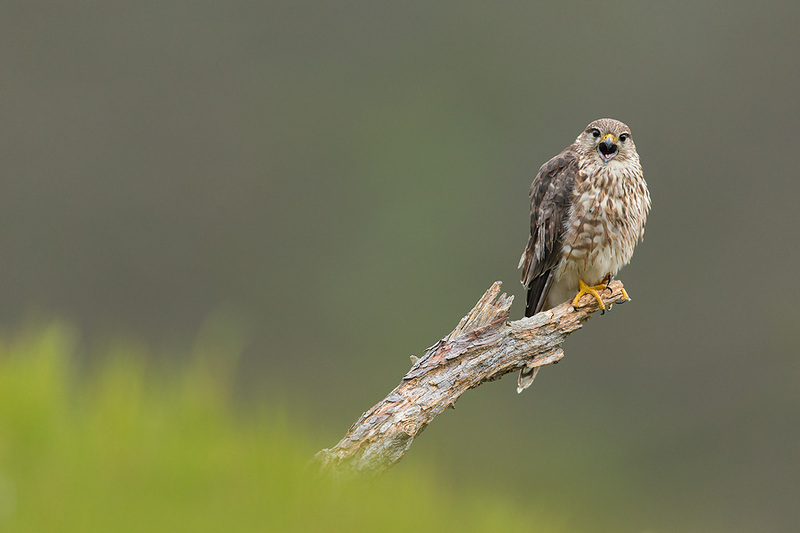 On Glen Tanar Estate in Aberdeenshire, where I have been doing quite a bit of work on breeding raptors in the last few years, there are several pairs of breeding merlin so this was the obvious place to start looking. With a lot of help from the ranger, Colin we eventually located a breeding pair in a sheltered side glen and so I set about trying to find the nest. This meant sitting in the heather several hundred metres away and watching and listening for sight or sound of the birds. For almost the entire breeding season the male does all the hunting and once in the vicinity of the nest he calls to the female to pass the prey to her to either feed herself or the chicks once they’ve hatched. This is the crucial bit so once the female is off the nest it’s a matter of keeping her in sight through binoculars the whole time and watching her back to the nest site. This is harder than it sounds from distance and its easy to loose sight of her. After several hours I thought I had the nest more or less located but having tramped across the moorland and up the other side of the ravine things looked very different and there was no way I could find it easily so I opted to put my photographic hide in place a good 100m or so away and left the birds to it. I came back a few days later with the intention of moving the hide closer and locating the nest but having watched the birds for a while I noticed that they were favouring an area of short burnt heather for exchanging prey. With no obvious perches on this side of the hill I decided it would be worth putting one in with the hope that they may prefer to perch off the ground. This proved to be the case as on my next visit the male seemed to come up from exactly where the perch was and on closer inspection I could see obvious signs of use. Great news. But stupidly I hadn’t brought another hide up with me so I had to go all the way back to car to fetch one, which I erected 50m away hoping that this wouldn’t put the birds off using the perch. I needn’t have worried as not only was the perch still in use on my next visit but there was a lot of white splash marks (i.e. poo) on top of the hide so they were obviously using this as well. I was getting excited now at the prospect of finally getting some shots but with a trip away (photographing pine martens – I know, tough gig) it would be another week or so before I could get back up onto the moor and I still hadn’t located the nest so had no idea at what stage the birds were at although I suspected there were small chicks. Back on the moor 9 days later and everything seemed fine so I moved the perch hide closer and was ‘seen in’ by Colin so that the birds would think the coast was clear once he walked away and off the moor. It was 11am and I was hopeful that one of the birds would use the perch in the next few hours. I also had a view of where I thought the nest was from this position so would get a fuller picture of what was happening. During the next few hours there were several food passes as indicated by the excited calls from both the male and female and I finally nailed the exact spot of the nest – about 10m lower on the slope than I had originally thought. And surprisingly I could see movement which turned out to be one of the chicks moving about. Through the binoculars it was clear it was quite well grown and only had a few more days left before fledging. The female whizzed by me quite closely a couple of times but didn’t land and the male was away hunting again immediately after passing food to the female so he obviously had no time for sitting around posing for pictures. I was less confident now of any success when all of a sudden the female alighted on the perch. It was just after 5pm. My heart jumped and I fired off a few frames, but she seemed nervous of the noise so I waited before taking another shot. But it was too much and she flew off. Cursing myself for not being more patient I wondered whether I would get another chance. Shortly afterwards Colin radioed to see how I was getting on and whether I wanted to get out. With only 5 shots in the bag I decided to see it out but the problem was that Colin couldn’t return to get me out until 11pm. I was in for the long haul! At around 9pm my luck changed and the female alighted on the perch once again. Not wanting to jeopardise my chances I reverted to Live View mode so I could take shots more quietly without the noise of the mirror potentially scaring her off again. This worked well and she seemed completely relaxed. I shot some video too as she started to preen. After about 15-20 minutes there was a usual high pitched calls of the male indicating he had food and she slipped away to meet him. I watched her fly up into the nest a few minutes later and then after feeding the chicks I could see her heading straight make in my direction. It was way too gloomy now to try to capture her in flight but I videoed her as she landed and began to clean her bill on the perch. She continued to use the perch for the rest of the evening with the last feed at 10.10pm and she was still sat on the perch when Colin radioed again at 10.45pm. He was coming up to get me out and fortunately just a few minutes before he arrived she flew back into the nest site where she’d spend the night with the chicks. Stiff from the 12 hours in the hide I stumbled my way back to the car trying to negotiate the steep ravine and burn as we descended. I had already decided to go back into the hide the next morning so settled down to spend a few hours in the car grabbing a bit of sleep. The 3am alarm call came around all too soon and it was already getting light so I didn’t have long to get back into the hide unseen – I couldn’t really ask Colin to help on this occasion! The pull up to the hide was exhausting as I was panicking that I’d not make it in time and I slumped down into my seat sweating buckets. 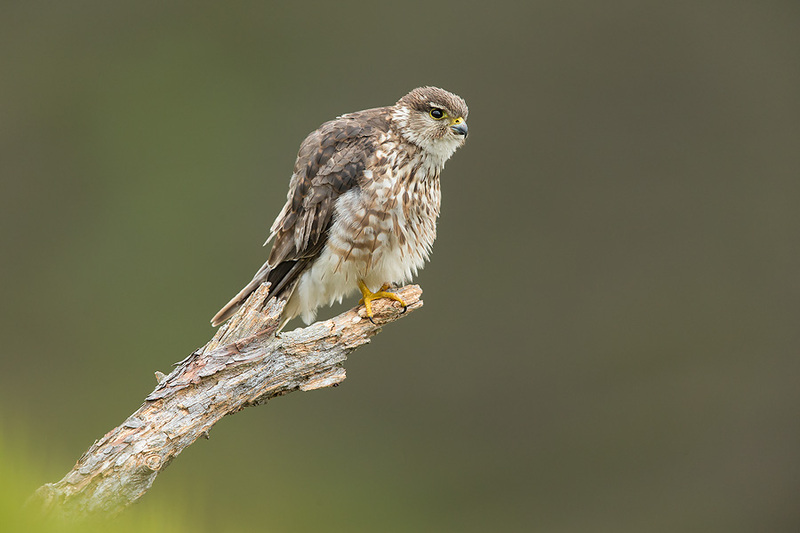 I quickly got set-up and sat quietly waiting for signs of life from the merlins. I didn’t have to wait long as just after 4am the male called from somewhere behind me and I assumed he was letting the female know he was off hunting again. Shortly afterwards I saw the female slip off the nest and head up the glen and out of sight. I was desperately trying to keep by eyes open when she ghosted in and landed on the perch. It was just light enough to take pictures and I continued where I had left off the previous evening. Once again she was very relaxed, spending her time dozing and preening as she waited for the first feed of the day from the male. He was definitely a very successful hunter returning quickly with prey. The food pass was always a long way off so I couldn’t see what he was bringing in but the typical prey are small birds, predominately meadow pipits. Over the next 4 hours the female was on the perch most of the time, just making short visits to the nest with food for her chicks each time the male returned, which was roughly every 45 minutes. By the time Colin came to get me out at 9am I’d filled a 32GB card of images and video and left very happy, albeit with a tinge of regret that the male hadn’t been in. I returned a few days later to have another session in the hide but the chicks were now out of the nest and the behaviour of the female seemed to have changed and she didn’t use the perch again whilst I was there, so I was glad I took my chances despite the sleep deprivation. And there is always next year! 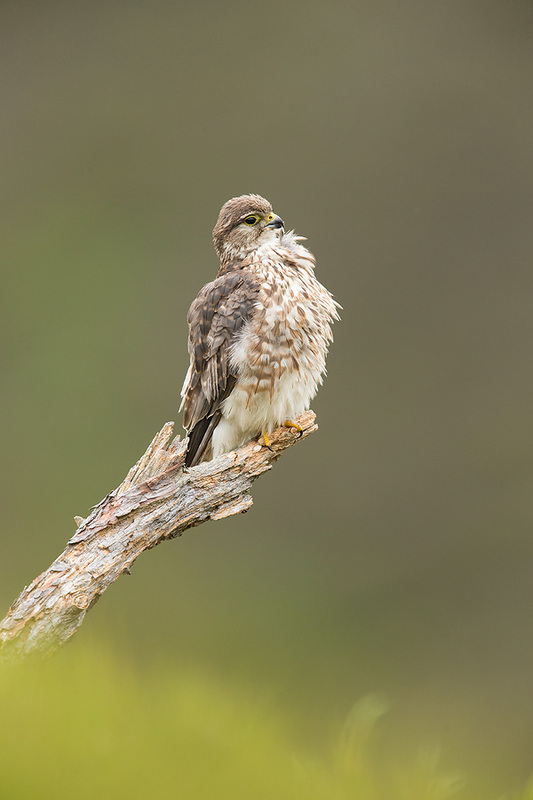 This entry was posted in In the field and tagged bird of prey, fieldcraft, glen tanar estate, hide, merlin, raptor, wildlife, wildlife photography. Bookmark the permalink. Superb shots of such a beautiful bird, I didn’t realise how small they were or how lovely the markings were. I really enjoyed your account of time in the hide and the excitement of pressing the shutter every time she posed perfectly!! Thanks, Virginia – much appreciated. Fair play – you put in the hours. Good old-fashioned wildlife photography. Top work. Wow. What can I say, already the creative juices are flowing when I see such wonderful natural photos as these. 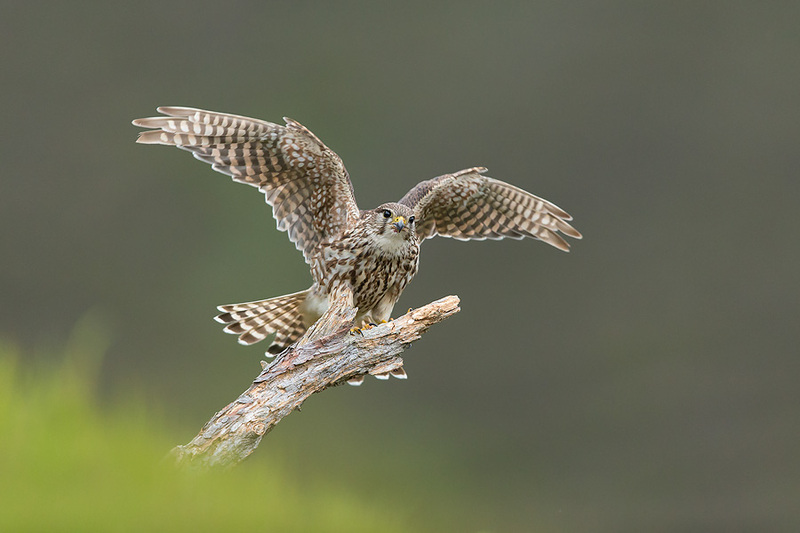 It instantly reminded me why I got into wildlife photography – nothing beats the excitement and anticipation like photographing wild bird of prey. The pictures are also unique – well worth all your efforts Mark. Inspirational work! Thanks, Paul. Appreciate your comments. Great article and account Mark – it really highlights the work that guys like you put in to get the shots you want. Well done! Thanks, Greg. Glad you enjoyed it. What a fantastic read accompanied by stunning images. 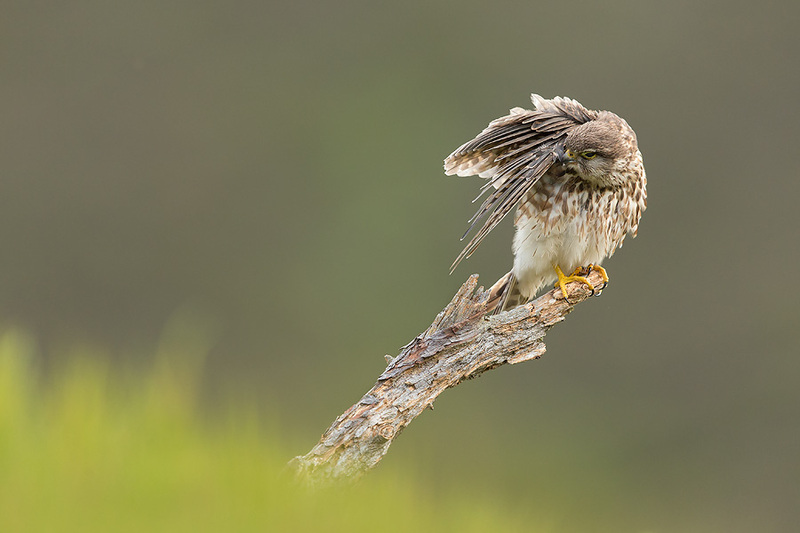 A fantastic lesson for any wildlife photographer, put the work in and you’ll get the results. Thanks, Trev. Appreciate your comment. Enjoyed the blog post Mark, What a moment when she first landed on the perch! Well done!